As far as emails go, I have to say I received the best on by far this morning. Would I like to go to the European Film Premiere of ‘Divergent’? Well, there’s quite clearly only one answer to that. YES, please! The lovely people working with Harper Collins as this book phenomenon is transferred onto the big screen have been generous to also give me 2 tickets to giveaway to you lovely lot that follow my blog! 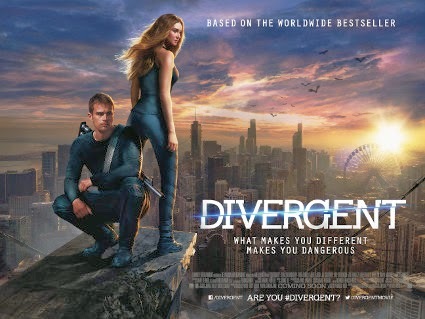 But that’s not all – I have 2 tickets for the European premiere of DIVERGENT at Odeon Leicester Square on Sunday 30th at 1.30pm, attended by stars of the film Shailene Woodley, Theo James and Kate Winslet! So not only can you discover the world for yourself, you can walk the red carpet, mingle with the stars and watch the film before it’s released in the UK! Enter the Rafflecopter giveaway widget below for your chance to win this once in a lifetime experience! And if you don’t win, don’t worry! Get down to Leicester Square early as they will also be giving out a limited number of premiere tickets to fans on both days! There will be 1 winner! 2 tickets for you and a friend! You must complete all mandatory entries. Thank you so much for this giveaway! I am a massive fan of the books and have been for years so this would literally be a dream come true for me. I would really love to go to the premiere as I am a massive fan of the books and really excited to see how they've translated it to film! I love dystopian society films! Not read the books yet (just the first few chapters) as I didn't want to end up comparing the two. I love This triology and i would love to go to the premiere! I would love to go to the divergent premiere because I am a massive fan of the books!